This is the first 3D cake I ever made. I was so proud of myself that I did not even bother taking photos of the procedure. Actually the photos you see here were taken from my mobile when I took the handbag to work. My colleagues were so amazed with the result that they started taking photos of the handbag with their mobiles, so I decided I should do the same. 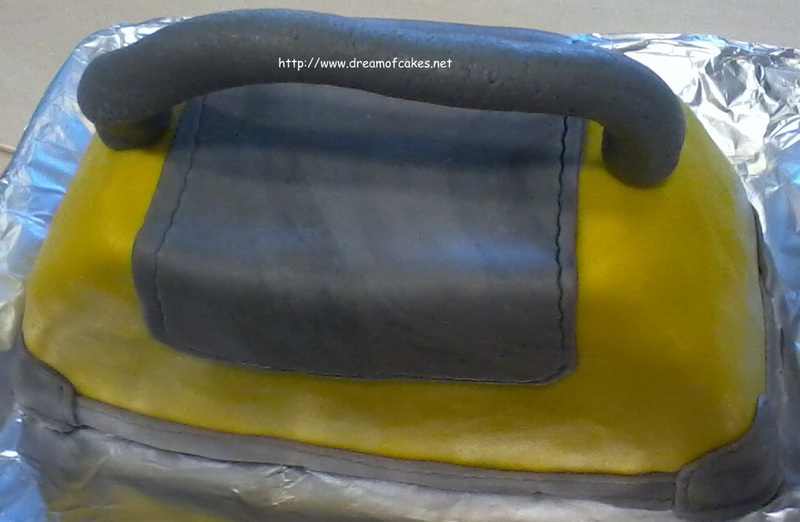 Below you can find the recipe I used to make the handbag. Keep in mind that this was a round chocolate cake that it was decorated with fondant icing . 2) Grease a round pan (24cm). 2) With an electric mixer beat fresh cream, powder sugar and cocoa powder until the mixture becomes a cream. Do not over mix because if you do, you will have a cocoa butter and not a cream. 1) Use your imagination and create anything that you might like!!! A good tip would be to take one of your handbags and copy the design. OMG - It is so cute!!! So adorable! You did a great job. This is amazing!! I'm totally speechless I thought is a really handbag. WOW! too pretty to eat! OMG! It's looks so beautiful.Gorgeous! This is soo cute and ingenious. Congratulations! For your first - it was great....even if it wasn't your first! Beautiful work, Eftychia! This looks outstanding. That must have been QUITE A LOT of work eh??? Awesome work. Give me your cake rather than a Vuitton anyday! Fantastic. This cake is too adorable! This is so cute! Awesome cake! The handbag is soooo cute Eftychia! Beautiful work!!! i would never have thought grey and yellow color comination would look so good together. beautiful! Great job! Congrats on your first 3D job! The cake itself sounds quite delicious. Now that all my kids will be in school full time this year, I think I'll go back to some baking and creating again. Thank you Ibolya for your nice comments! It was a pleasant suprise to read your comments. 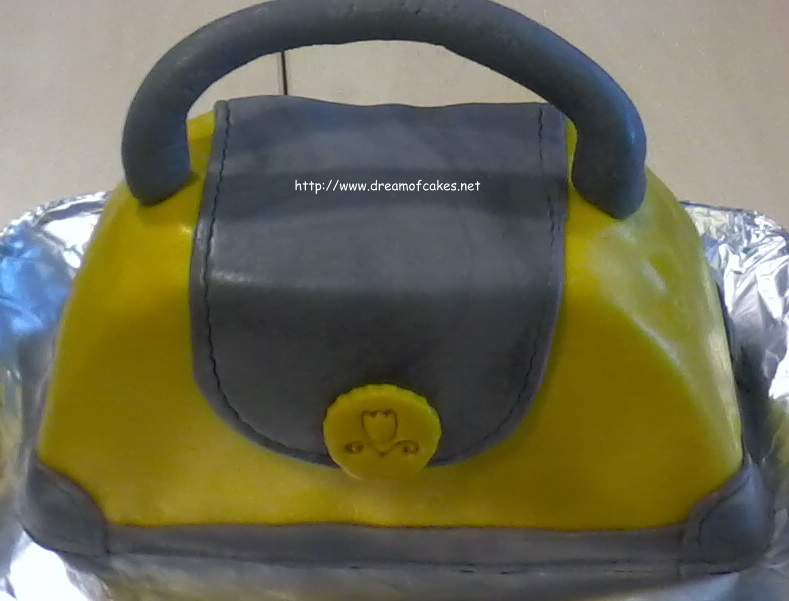 I hope I will manage to make one handbag cake for you too!!! How cute! I love it, as a bag AND as a cake! Buzzed! bet it's nice and tidy inside not like mine!